The Westgate Las Vegas Resort & Casino features 95,000 square feet of gaming action ranging from state-of-the-art slots and classic table games to the world’s largest Race & Sports Book, as well as top-name entertainment, excellent food and beverage service, and much more. 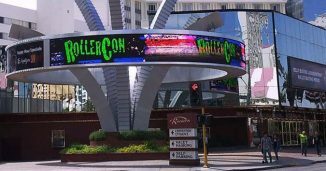 The Resort has 2,956 hotel rooms, including 305 suites and is a popular destination for Convention Attendees becuase of its location right next to the Las Vegas Convention Center. The Westgate opened in 1969 as the International Hotel, and was known for years as the Las Vegas Hilton. 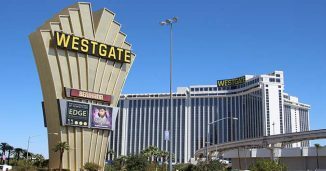 The Hotel and Casino Resort was renamed the Westgate Las Vegas on July 1, 2014 when Westgate Resorts purchased the Hotel from Goldman Sachs and Colony. The Westage is one of the top Las Vegas destinations for meetings, conferences, conventions, trade shows and expos. Westgate Las Vegas Resort & Casino offers over 225,000 square feet of expansive expo space for events, conferences, business meetings, trade shows, and other gatherings. They often cohost events with trade shows that are happening nextdoor at the Las Vegas Convention Center becuase you can easily walk to the venue via the Skywalk Bridge. If you love roller derby, you know that magic happens when derby people get together. 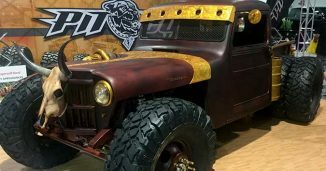 The Young Executives Network (YEN) is hosting its annual reception at the 2019 SEMA Show.